Enjoy a $60 FREE No Deposit bonus from High Noon Casino. 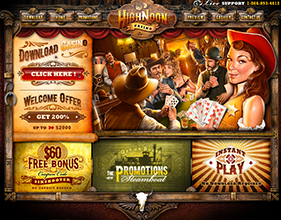 Established in 2010, High Noon Casino is an online casino that is based on a Wild West theme. This gambling saloon doesn’t have wooden swinging doors, but it does offer true Wild West online gambling fun. Once you visit the casino a red headed cowgirl will say howdy to you, holding straight flush in hearts. But do not be fooled because she is the sheriff of this little gambling town. High Noon Casino is powered by one of the software pioneers in the online casino gaming industry, Real Time Gaming, whose selection of games is one of the best. The high limit games, slots in particular, pay out a lot of money to players who want to bet big. The casino is operated by World Online Gaming N.V. High Noon Casino is registered under the jurisdiction of Curaçao and it welcomes players from the United States as well as players from all around the world. Real Time Gaming software produces state-of-the-art online casino games whose graphics and general quality are one of the best in the industry. The games can be played either by downloading the software or via the instant play flash option. The software offers fast and crisp displays of all games. Additionally, the fact that it accepts played from the US gives it an extra credit. Unique for this software is that it creates Real Series slots that come with many innovative and exciting features. The games range from slots to table games, video poker, progressives and specialty games and high rollers in particular have a lot on offer. The graphics of the casino games are so realistic that players will forget they are playing a virtual game. They are also animated nicely and the audio is excellent. The games are fast to load and download. 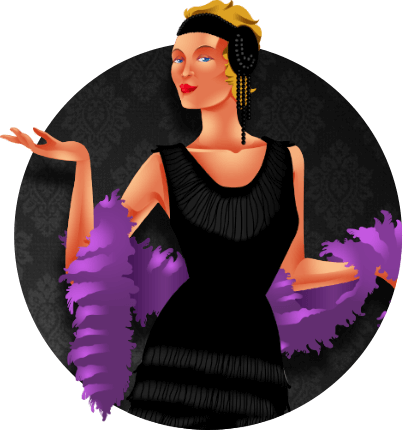 Players can easily find them in the casino’s lobby. With the high rollers in mind, High Noon Casino offers the following high limit slots the big fish can bet at and, with a bit of luck, win a lot of money: Aztec's Millions, The Shark, Jazz Time and Food Fight. Real Time Gaming’s progressive jackpot slot Aztec's Millions is part of the slots library at this casino. The maximum bet of this 5 reel, 25 pay- line video slot is $5.00. Bet the maximum to be eligible for the jackpot. The game comes with wild and scatter symbol and multiplier up to 100. Some reel symbols include jewelry, masks, leopards, the Aztec King etc. Based on the great white shark, The Shark is a 5 reel, 9 pay- lines video slot whose maximum bet is $5.00 and comes with a progressive jackpot. The icons on the reels include an octopus, fish, a sponge, oysters, treasure chests and so on. If three treasure chests scatters pay you a visit, they activate the sunken treasure bonus which will give you about 500 credits. There is also a card game where you have to predict whether the next card will be higher or lower in value than the previous one. Following a jazz club based theme, Jazz Time is a 5 reel, 9 pay- lines video slot that is focused more on sounds rather than graphics. The max bet of the game is $5.00 and the maximum win is 10,000x. Some symbols include trumpets, pianos, drums, saxophones, basses and many more. The game has a scatter symbol that activates a bonus round which gives great prizes. You can find everything from food at this slot. Food Fight is a 5 reel, 9 pay- line video slot that features scatter symbol and a bonus round. Pizzas, burgers, pies, spaghetti and so on are some of the symbols. The max bet is $5.00. In addition to the high limit slots, the big fish can check out the high limit tables at Roulette, Blackjack or Baccarat. On offer are European and American Roulette and six versions of Blackjack or 21 among which are Pontoon, Face Up 21, Bj and Perfect Pairs and so on. A warm howdy is given by offering two types of welcome bonuses to new players at High Noon Casino. The first is 200% bonus on the first deposit up to $2000 for playing slots, real series slots, keno and scratch cards. The second one is the 100% bonus also on the first deposit up to $500 for playing games like blackjack or video poker. To claim one of them, enter the coupon code at the cashier. Additionally, the casino awards you with 60 free chips and no deposit is necessary. If you join now and visit the Promotions page, you can take advantage of the current promotional offer where the casino gives amazing 65% deposit coupon available 4 times along with additional 20% cash back on deposits made during the timeframe of the offer. Lastly, regular players are awarded comp points and after they gather enough points they can exchange them for real money. 100 comp points is equal to $1.00 in cash. Loyal players and VIPs can also enjoy other special and exclusive treats depending how much they bet and play. High Noon Casino uses SSL encryption technology through which all transactions are carried out. The casino is also certified by Secure Server Certification Authority Verisign. The personal information of all players is not shared with third parties. If you have any questions about a game, bonus or problems with the download, contact the casino’s customer support team through live chat, fax, international phone number or postal address. High Noon Casino by Real Time Gaming software is the best place for high roller slot junkies from around the world, including USA, that want to bet big and win big. 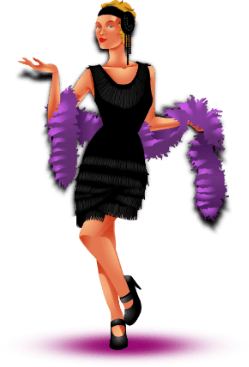 If lucky, the games can pay out big amounts and that is why they are very popular. Additionally, the bonuses and promotions are quite rewarding and the casino has high class security and excellent player support.